Unexplored nature reserves, awe-inspiring archipelagos and stretches of sand that plunge into the Indian Ocean…. The personalized service at Diamonds Mecufi Beach Resort speaks volumes of this property and superb staff. Dining under the stars is always an option at this Luxury Accommodation in magnificent Mozambique. Celebrate romance with a romantic getaway in a magical and unspoiled land in a luxury, boutique resort overlooking the Mequfi Bay and Pemba. Family Holiday Packages in the Quirimbas Archipelago are a feast for fun, with its lush coastal forest, colourful coral reefs and stunning sea turtles. With stunning scenery that sweeps the bay, - a vision that remains timeless! 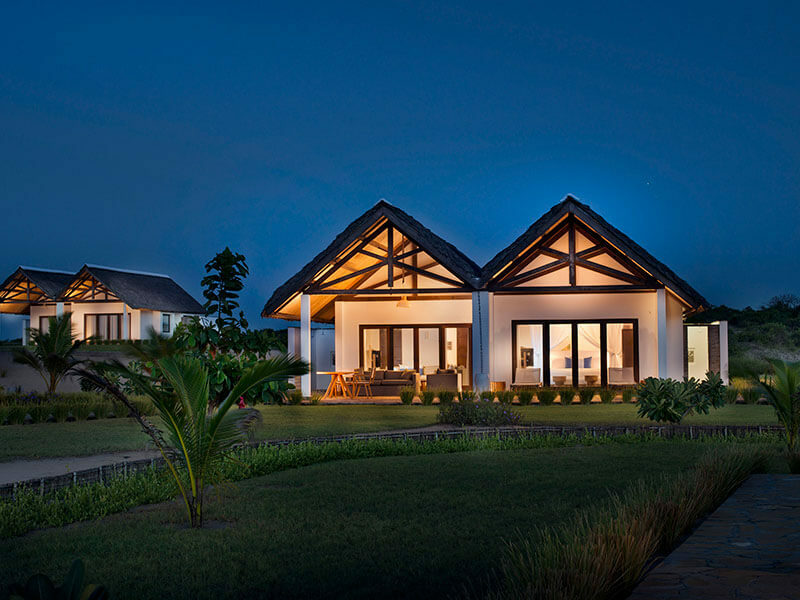 Diamonds Mequfi Resort, located on a dream beach – untouched and left to its natural beauty. 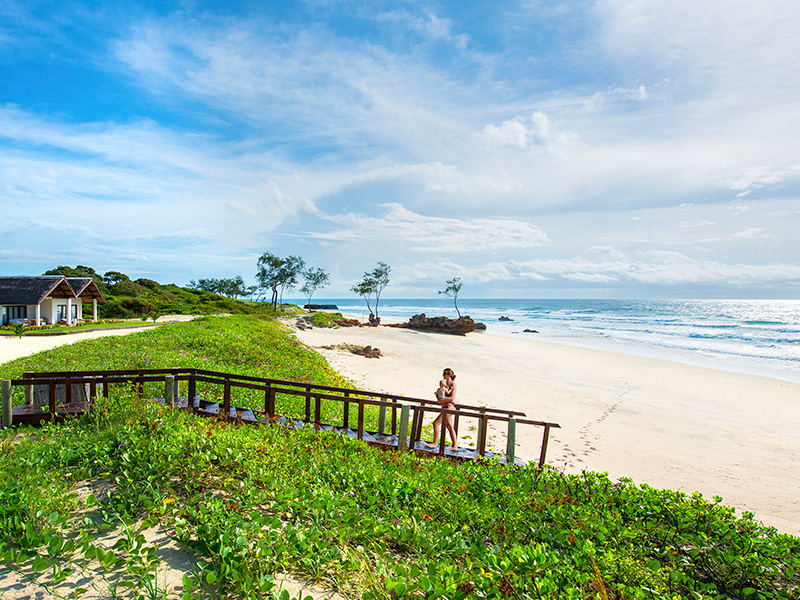 On the southern Peninsula of Pemba Mozambique close to the Quirimbas National Park. A vacation at Mequfi Beach, which is affiliated with the prestigious Small Luxury Hotels of the World, combines maximum privacy and relaxation! 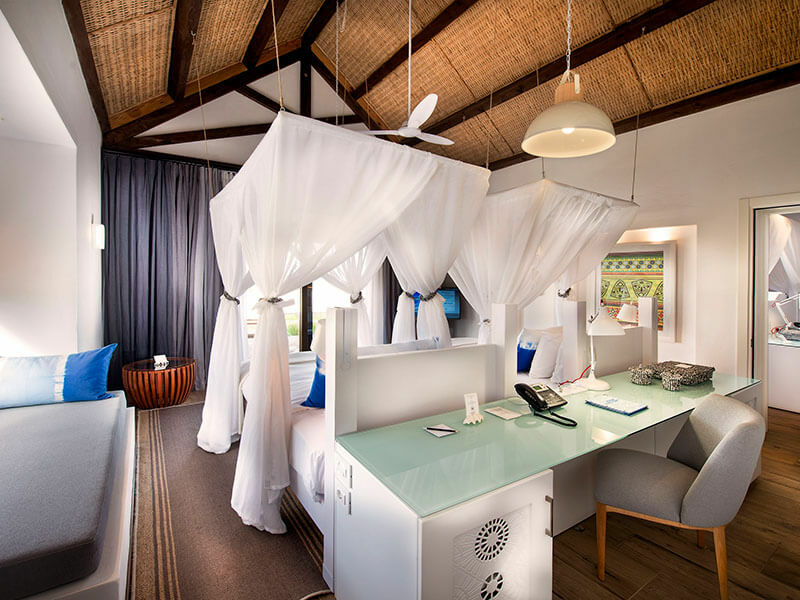 Unexplored nature reserves, timeless archipelagos and stretches of sand that plunge into the deep blue Indian Ocean. 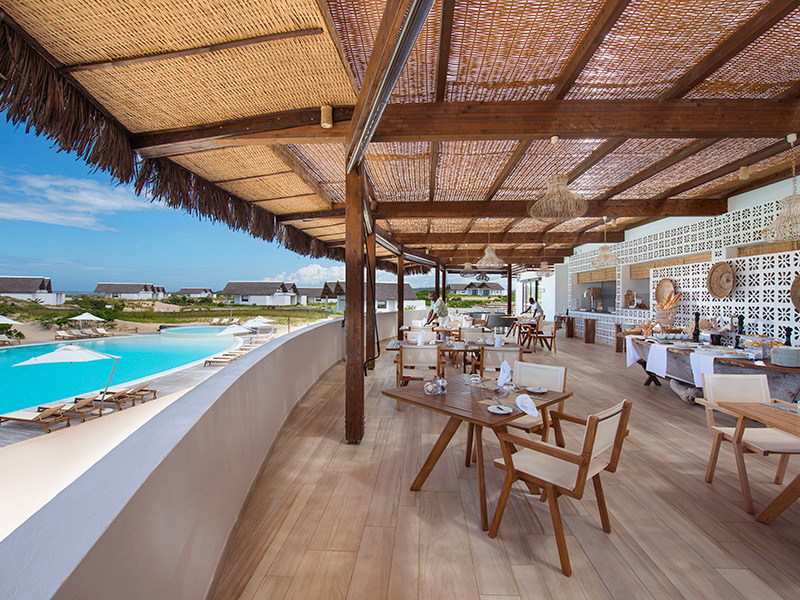 Where attention to clients’ needs, the quality of service, and the beauty of the location, all contribute to ensuring an unforgettable Mozambique Holiday Destination! 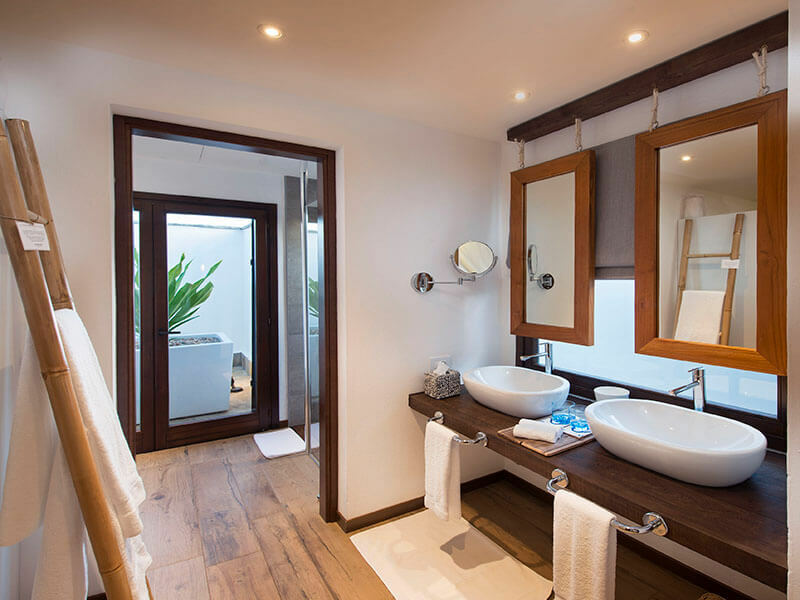 The 50 luxurious rooms; 40 deluxe rooms and 10 suites, are set out in beach bungalows and are spacious and bright, decorated in a contemporary style with local details and materials, equipped with all the comforts hosting large private verandas with stunning ocean views and open-air outdoor showers. 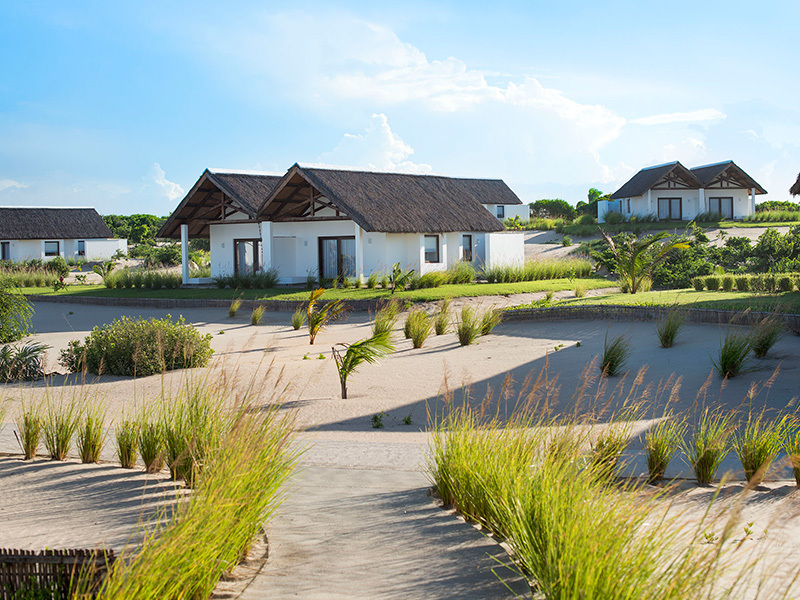 We rate this as the best value beach accommodation in Mozambique! 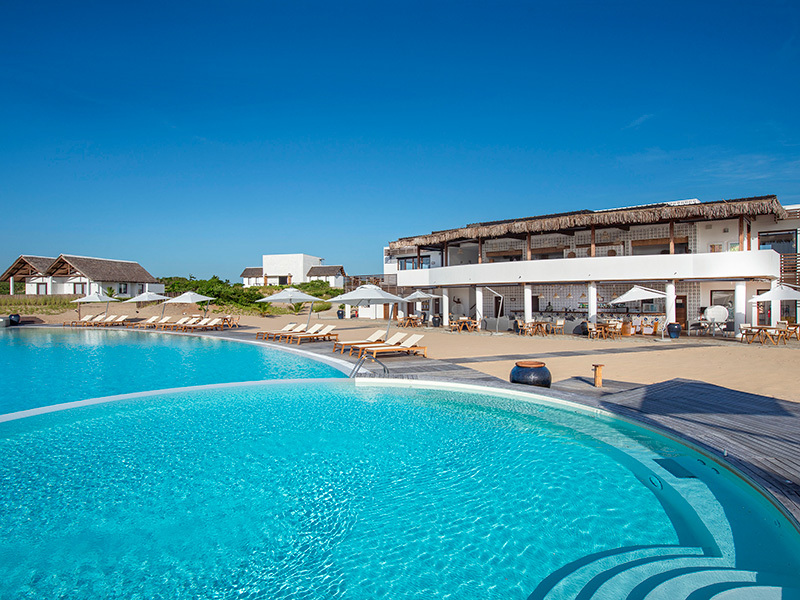 At the centre of the Diamonds Mecufi Resort and Spa, is a saltwater swimming pool with sun beds for relaxing on and a bar that remains open until late so that one can enjoy the magic of the African nights! 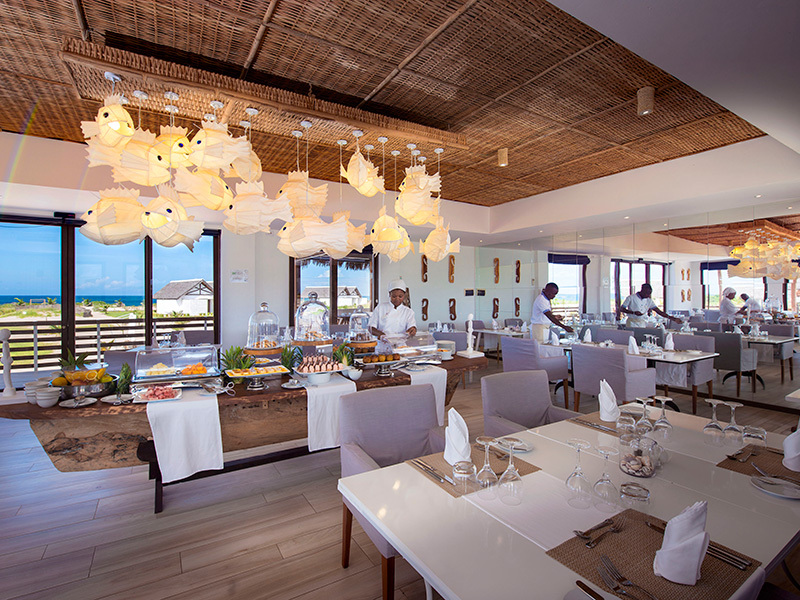 One of the most important aspects of Diamonds Mequfi Beach Resort is its’ cuisine, which tantalises the taste buds with 3 different restaurants available for guests. At Assinatura Restaurant; positioned on a raised bridge with a spectacular view of the pool and the entire resort. A lavish American-style buffet breakfast is served each morning. For lunch and dinner, the restaurant offers local and international à la carte dishes. At Brisa Do Mar; Offering canapés and fresh oven-baked pizzas, this restaurant is located next to the pool. 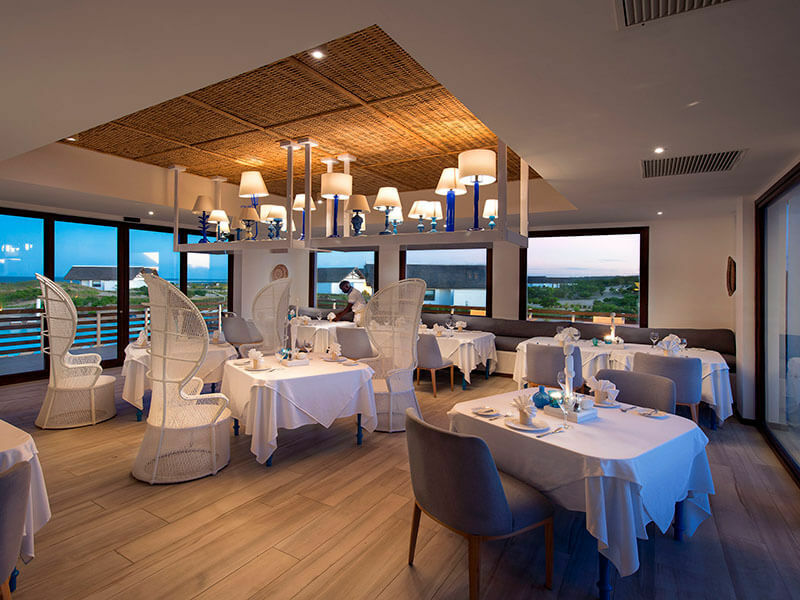 At Sea You Restaurant; Open for evening meals only and serves fresh and local delicious fish dishes in a refined and peaceful environment. Dining under the Stars is always an option at this Luxury Accommodation in the magnificent Mozambique! The ultimate in dining is a fireside dinner at the Beach/Lagoon/or Magic Yoga Corner. Choose your 5-course meal from the suggested menus, or let the Executive Chef tailor it to your palate and preferences. Whether it is a romantic dinner for couples celebrating their anniversary or newlyweds enjoying their heavenly honeymoon. Dining under the Stars is the most romantic dining experience and will bring memories you will treasure for the rest of your life. A beautifully decorated table setup -will be arranged on the chosen spot and a private butler will attend to all your needs. 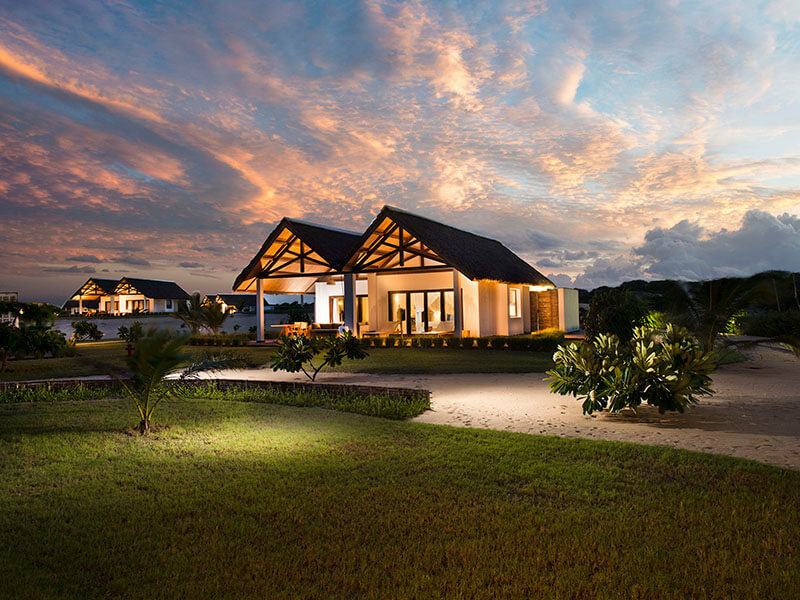 If you’ve been looking for something truly precious, you’ll discover it at the brand new Diamonds Mequfi Beach Resort in Pemba Mozambique. 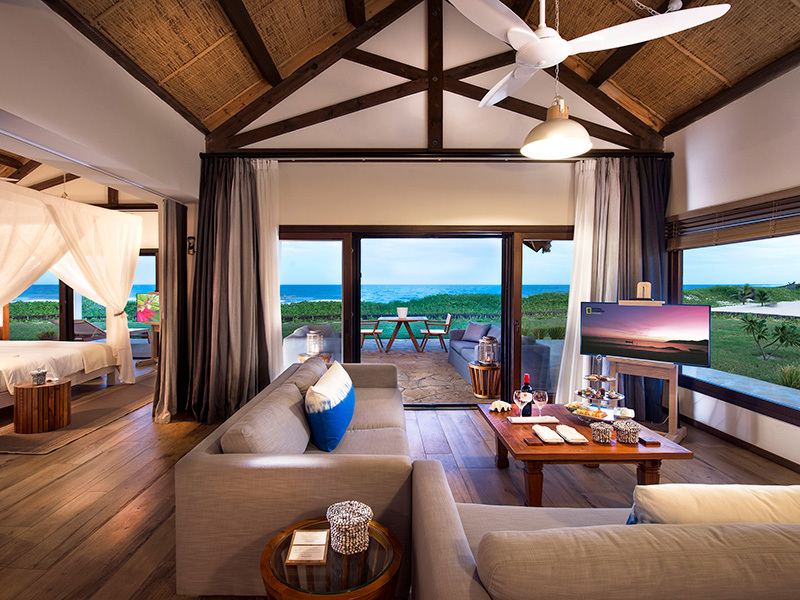 It offers holidaymakers the opportunity to combine an African Safari with an idyllic beach getaway. 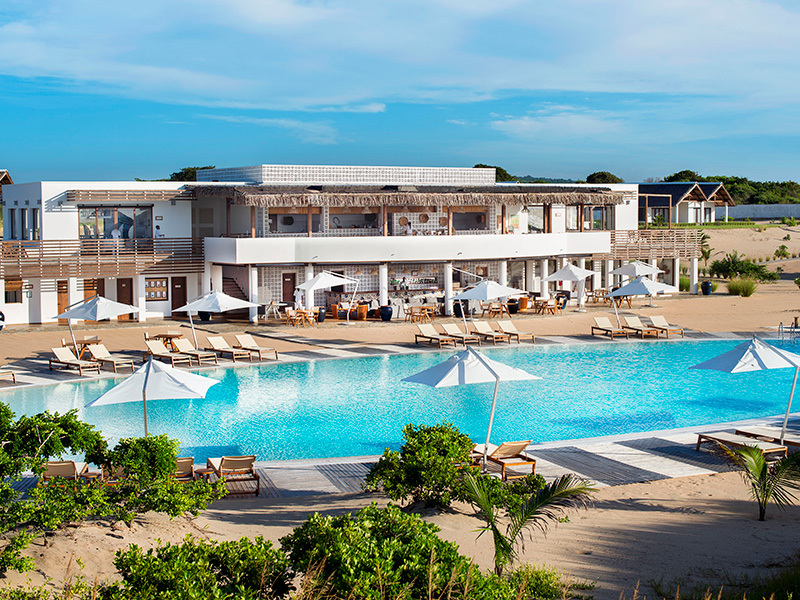 See our amazing Mozambique accommodation packages to Mequfi Diamonds here. Beaches, unexplored natural parks and a timeless culture make this country-Pemba Mozambique- a precious jewel to be discovered! Discover Mozambique and the Quirimbas with the Island Excursions Package visit Taratibu Bush Camp, Kayak Tour on the Mangala River or an Adventure Safari snorkel and dive to explore the ocean! Family Holiday Packages in the Quirimbas Archipelago is a feast for fun, with its coastal forest, coral reefs and sea turtles. Capturing the beauty and magic of the African environment, Mequfi’s African Rain Spa offers the guests of Diamonds Mequfi colours and images of the African landscape in a relaxing and welcoming environment which invites them to savour a unique and precious experience. Here you will find all the ingredients you need to free body and mind. Mvua Spa uses natural ingredients and resources such as plants, flowers, salt, cereals, spices, wild honey and unrefined sugar. The treatments are based on ancient African, Asian and European traditions with the single aim of reinvigorating body and soul and enlightening the mind. Stunning views over the bay with its multitude of shades of blue water crisscrossed by the traditional dhows that still dominate the seas in this region – a truly timeless sight! Find Diamonds Mequfi on our Pemba Mozambique map here.